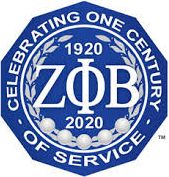 Are you a dynamic, community service-oriented woman interested in learning more about our awesome sorority, Zeta Phi Beta, Inc.? To prove you are a human being, please type the characters from the image below into the text field. Copyright © 2019 OmegaMuZeta.Org. All Rights Reserved.